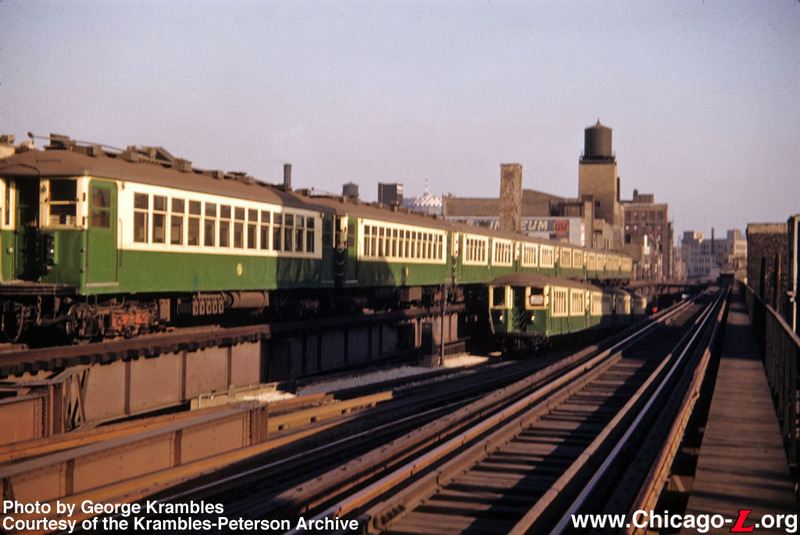 On February 25, 1951, the Milwaukee-Dearborn Subway opened, connecting the Logan Square branch with downtown more directly. At this point, the north-south section of the old Northwest branch became nonrevenue trackage known as the Paulina Connector. 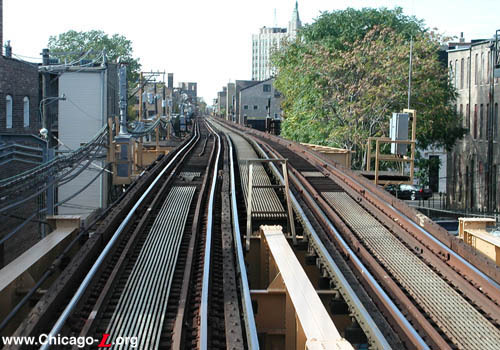 A connection between the Milwaukee Elevated and Paulina Connector remained at Evergreen Avenue for several years, as the connector was the only connection between the Milwaukee Elevated (as the newly-independent portion of the Northwest branch along Milwaukee Avenue became known) and the rest of the system and was used for nonrevenue equipment moves. The switches at Evergreen Junction were all hand-throw, owing to its relatively infrequent use and lack of any scheduled revenue service that required frequent switching of trains -- other than occasional equipment transfers, work trains, charters, and the like, all trains ran between the Milwaukee Elevated and the Milwaukee-Dearborn Subway. There was a home signal, a single-arm semaphore, at Evergreen on the approach to the subway, but since these were hand-throw switches the signal was probably just rodded to the switch stand. This low-key utilization was not always to be the case, however. Originally, a more robust use was envisioned for Evergreen Junction. 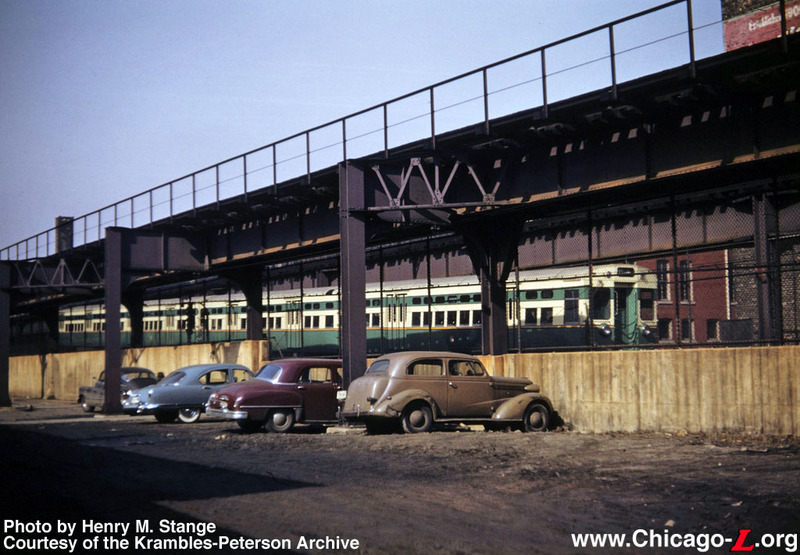 During the planning for the Initial System of Subways in the 1940s, the intent of constructing the Milwaukee-Dearborn Subway wasn't to replace the portion of the Northwest Branch along Paulina Street -- the Paulina Connector -- but to supplement it. Although the purpose of the Milwaukee-Dearborn Subway was to provide a more direct route for trains from the Northwest Side to Downtown, the City intended to continue using the old Paulina trackage. 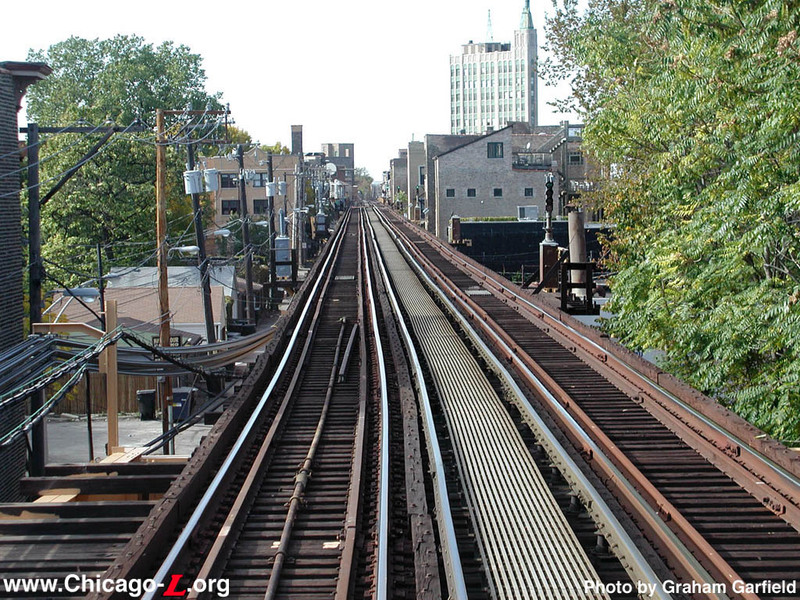 Indeed, in later stages of the Comprehensive Plan for the Extension of the Subway System, plans called for building a line roughly parallel to Paulina or Ashland north from Milwaukee to meet the Ravenswood branch, and south along the same alignment between 21st Street on the Douglas branch and Ashland/79th, in essence creating a crosstown line via the Paulina Connector. 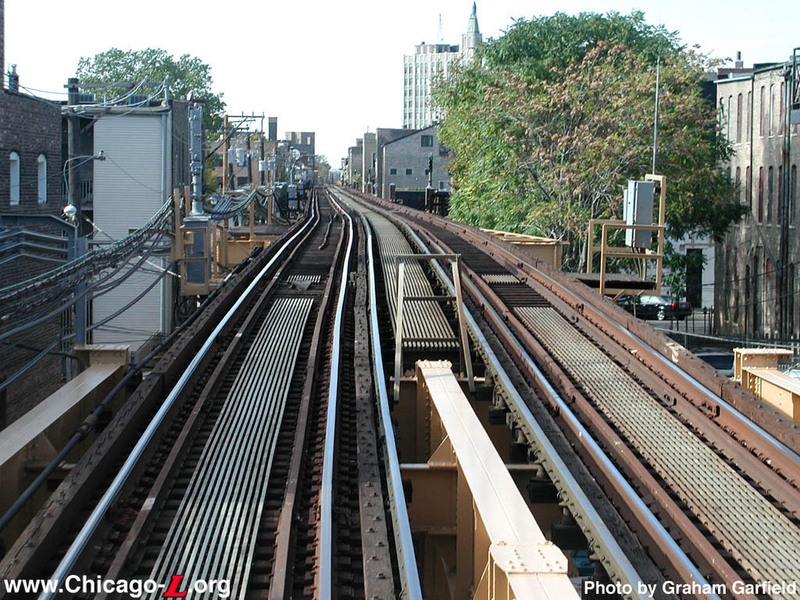 Aside from these grander, long-term plans, circa 1946 (before the CTA assumed operation of the system), there was a more immediate concept to operate half of the Logan Square trains over the old elevated alignment via Paulina and the Met main line (to the Loop or to Wells Street Terminal) and operate half via the subway, and likewise to operate half of the Humboldt Park trains over the elevated and half via the subway. To that end, the plans for the Milwaukee-Dearborn Subway included a new tower north of Damen station, a few blocks northwest of Evergreen Junction. The plan was to have the new Damen Tower control both Damen Junction and Evergreen Junction.. By situating the new tower between the two junctions, the towerman could have a view of both locations, aiding in his simultaneous control of both interlocking plants. 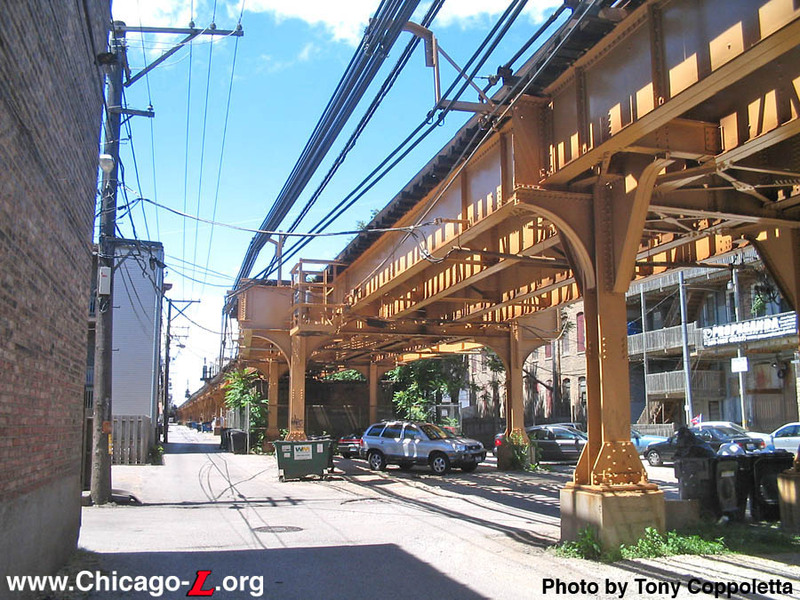 In the years after the Congress Line opened, very few trains used the portion of the Paulina Connector north of Lake Street. A couple of charters and fan trips used it, and a work train or two every now and then. Finally, in August 1964, it was decided to remove the portion of the Paulina Connector between Washington Junction and Evergreen Junction from service in preparation for demolition. Evergreen Junction was removed from service at that time. Actual demolition may not have occurred until about 1968. The switches were replaced with straight rails. 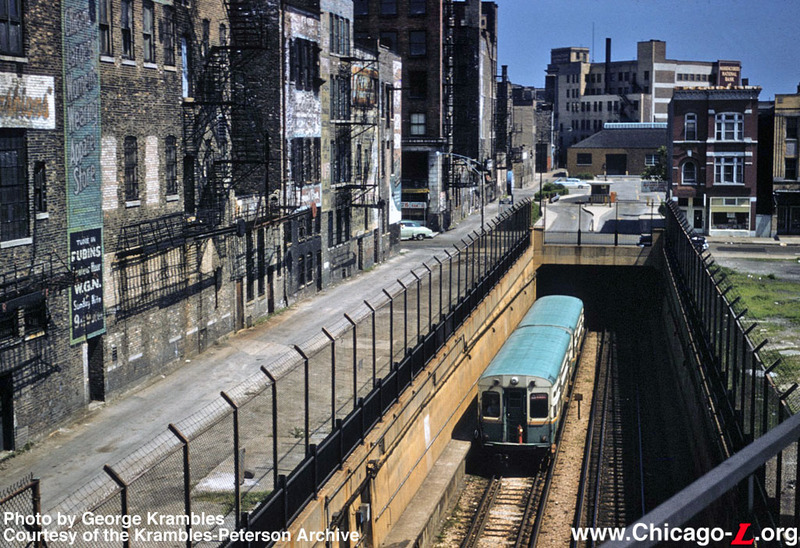 Today, only a few cutoff bents encased in the concrete walls along side the descent into the Milwaukee-Dearborn Subway belay the previous existence of the elevated line that once connected overhead.